Negligence or improper safety measures will usually be the main focus against your business in a case such as this. The opposing party will attempt to prove that your business was solely at fault for their alleged injuries or personal damage. To oversee that your interest is protected during these cases, you should contact a defense attorney immediately. Cosio Law Group is made up of a group of knowledgeable attorneys who will stop at nothing to prove your innocence. We provide thorough investigation into your case and create a plan of action that is designed to best fit your unique situation. We specialize in assisting a variety of businesses and individuals, spending personal time with each client in order to communicate properly throughout the entire process. However, the above factors can be proven to have been properly handled as they occurred on your grounds. The simple implementation of a safety sign warning customers or employees of a wet floor, unstable ground, or the presence of hazardous equipment will protect your business against most allegations. If an individual chooses to ignore these signs of warning, they become the party at fault for putting them self in danger. 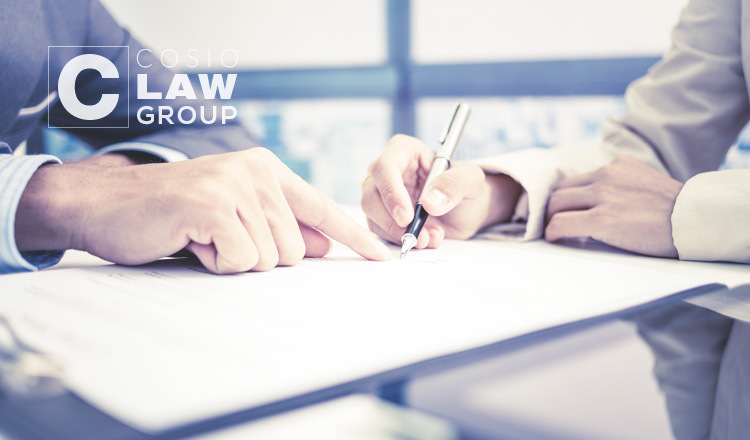 Allow our experienced attorneys at Cosio Law Group to properly represent your next case. Contact us at (305) 567­-0503 or click here to speak to one of our professionals now!